SXSW, KID style. – romi, kilo india delta. 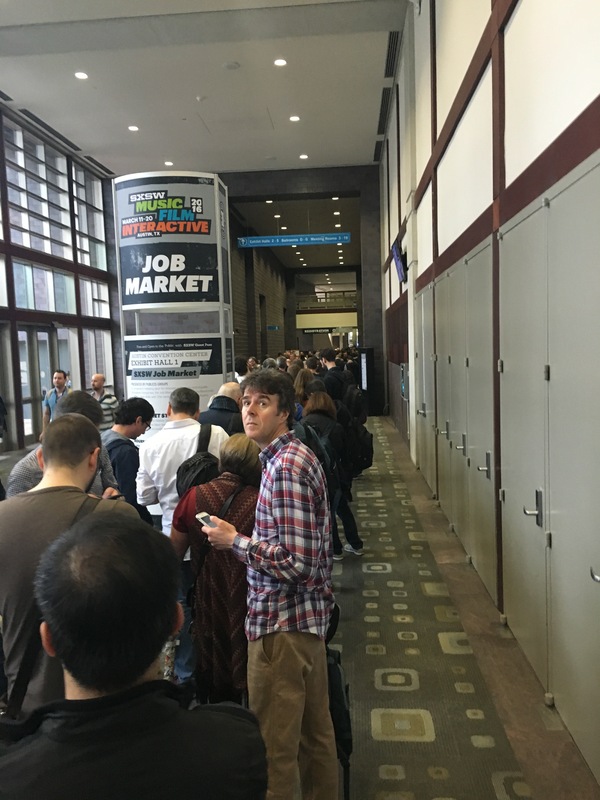 Last week, one of my biggest dreams came true: I was able to attend SXSW for the first time. It wasn’t a plan really. I wasn’t even invited. My colleagues at Piktochart were hosting a panel and I decided to tag along, knowing that I couldn’t afford the ticket and knowing that my expenses were not going to be contemplated as part of the team’s because of course, I wasn’t formally invited. But my colleagues are also my friends, and as a remote team we’re truly scattered around the world – I don’t get many chances to see my team together in one place. That’s why when they told me to come “meet them”, I said yes without hesitation. Yes, I might not be able to see them during the day, I thought, but we could hang out every night and travel together afterward! Fun enough. But once I got to Austin, I started feeling the South By fever. The plane from Miami to Texas was crowded with entrepreneurs, developers, designers and weird people that looked amazingly interesting. I woke up in the hostel the next day after my arrival and the great news showed up glowing on my iPad screen. “I got you tickets for the festival!” my friend announced in a message that came all the way from Penang. I was in the right place at the right moment: I was IN! And I wish I could tell you all about it. It was so interesting! But time’s a wasting and I’ll be landing back in Miami in less than an hour. So this is my super quick and effective SXSW Guide for Last-Minute Attendees. 1 – Lines, lines, lines. It doesn’t matter how early you show up. It doesn’t matter if you don’t even make it in at the end. Lines will be everywhere and for anything: fried chicken at Gus’s, a great conference, a party, a free concert or toilets. You’ll learn how to eat, meet friends and work while queuing. It isn’t that bad really – not until you hear the awful words: “the venue is now complete and the policy will be one out one in, only”. That means that you have to wait until someone inside decides to leave before having the chance to move forward in the line. Ugh. 2 – Preparation is a must. 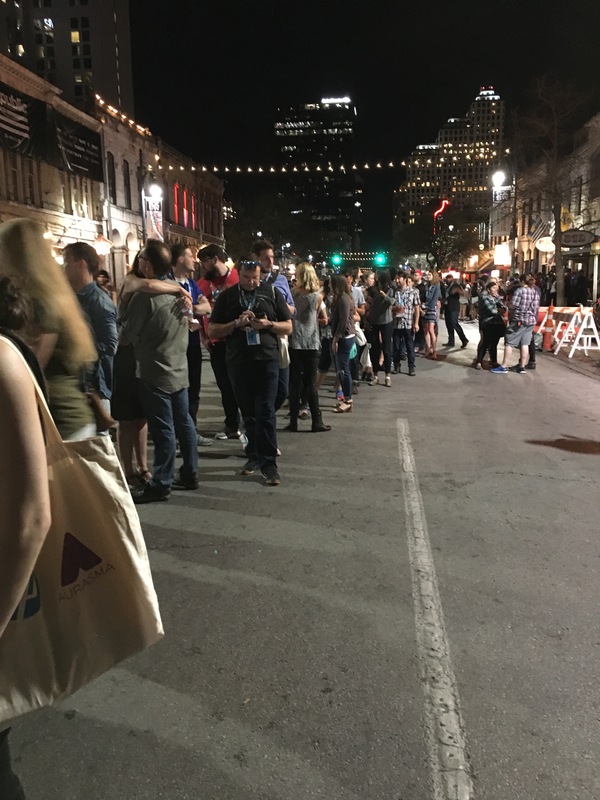 For SXSW, the activities are endless and there’s so much to choose from you’ll get lost even after Day 1. Take your time, try to get recommendations from friends and blogs you appreciate and then, create your own schedule that contemplates distance between venues and rest time between conferences to catch up with work emails, go to the toilet and grab some fried chicken from Gus’s. (I mean it, it’s the best). Best fried okra I’ve ever had. 3 – What to bring. The less, the better. Think of it as if you’re traveling by plane to a close destination and you don’t want to check bags. You’ll be walking around all day, switching between the hot outside and the conditioned inside, and you don’t want to get too tired to go out later in the night. Water bottle, you can refill it from the venues. Comfortable shoes. Don’t even think about breaking into new heels! A change of shirt – Texas = Sweaty Outdoors. Lip balm. The A/C will make your lips sore in hours. Notebook and pen, tablet or laptop. Ideas are in the air! You’ll hear very inspiring people and you’ll overhear amazing conversations every day. Don’t miss out on great notes! Personal cards. I’ve met people before conferences, in lines for food, inside the restroom and while watching concerts. Networking is half of this event, especially if you’re hoping to meet the right people to promote your idea/product to. It’s everywhere! And you’ll need to distinguish between great design, fine swag and things that will only take up the valuable place in your luggage. Learn how to politely say no, reject what you’re not interested in and find out more about the things that catch your attention. 5 – #FOMO strikes back. It’s important to be early in case you don’t want to miss an event, tons of people share the same interest than you and you could be left out. Remember that the best parties are probably the ones that you never hear of, and you’ll probably regret your whereabouts once you see on Snapchat/Instagram what your favorite celebrities did the night before. If you’re really into someone and you wish to meet them, even in full stalker mode, it’s a good opportunity to do so. You can check the tagged tab on Instagram so as to discover where they were last seen in real time or follow their feeds to see what events they will be attending. Have you attended an event this big? How did you manage to check your To-Do list and not go crazy in the meantime? Tell us all about it in the comment section! And stay tuned to Kilo India Delta… the trip continues heading to New Orleans! Pingback: Bienvenidos a Miami: La Guía KID – romi, kilo india delta.